This is significantly more elegant and complex than its sibling --the vanilla extract that you are used to tasting. Very clean fresh vanilla with a sweet aroma and soft texture that brings about a creamy custard backdrop onto your palette. In beverages like coffee and tea this flavoring will smooth off the the bight or acidity of coffees and teas (or alcohol-based drinks). In all applications this will provide a soft rich background flavor. In cookie mixes, French toast batters, bread doughs and cake mixes, the French Vanilla Creme differs from extracts in that it is more of a mellow and integrated component that enriches the primary flavors as a subtle backdrop to your recipe. (You can use this as a 1 for 1 replacement in your baking projects). 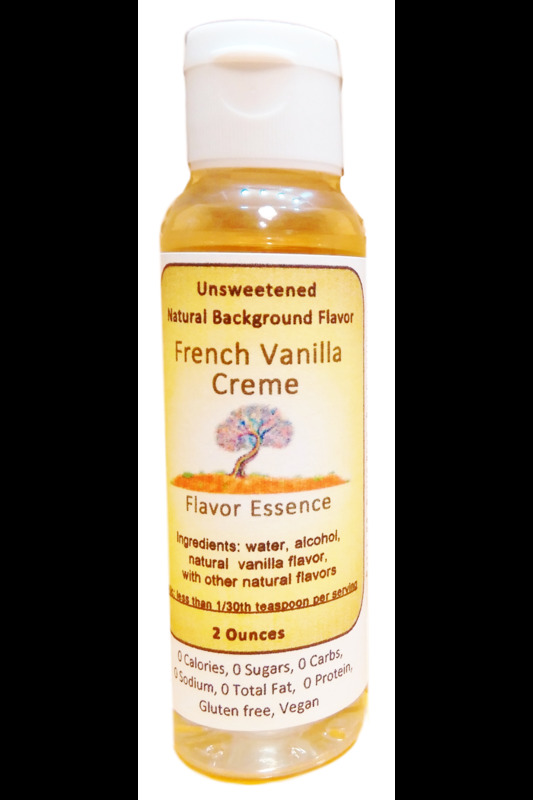 It is very versatile; use French Vanilla Creme to gently lace your beverages, yogurt or batters with soft aromas and tastes of vanilla bean, creamy custard and suggestions of sweetness --yet there are no sugars or fats within it. You can flavor anything your own way, and flavor it to your own desired levels of strength. Each 2 ounce bottle will flavor approximately 30+ beverages, and in batters and baking projects, one bottle will flavor approximately a dozen batches.